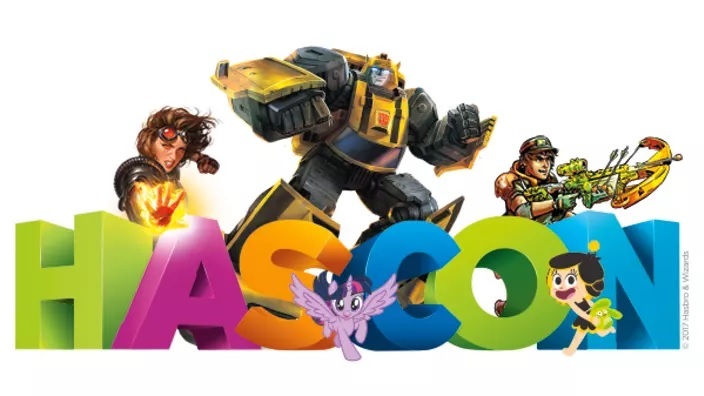 Join us for HasCon! It will be a weekend of Magic & More! The marquee event for the weekend is, of course, the very early, very cool, very iconic Prerelease of Iconic Masters nearly two months before the product releases! It's a cool throwback to the days when no one knew what cards were in a set prior to Prereleases, and you can only experience it at HASCON. We guarantee this is a set you'll be excited to rip open. But for those with a more digital mindset, Wizards of the Coast will also be publicly demoing the newest digital experience for Magic with Magic: The Gathering Arena. Stay tuned to twitch.tv/magic on September 7 (time TBD) for more information—or just show up at HASCON and experience it for yourself. We'll also hold special Sealed events all weekend, as well as spellslinging against a number of Magic celebrities. So if you've ever wanted to destroy Mark Rosewater in a game of Magic, this is your chance. There will also be special anniversary Booster Drafts and learn-to-play events all weekend long. The full schedule is posted below. Furthermore, players playing in events over the course of the weekend will receive complimentary deck boxes featuring new art from Iconic Masters every time you register for and play in an on-site event.